The adjective ‘wel’ translates as ‘well’ (as in ‘feeling well’) or ‘good’ (as in “all’s well”). 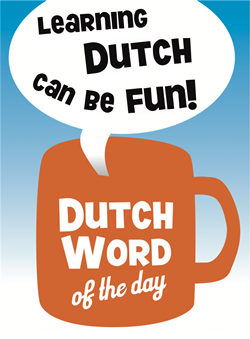 You often see in colloquial Dutch that adjectives are turned into plural diminutives. Impossible by definition, but common nonetheless 🙂 The adjective that is created this way takes on the meaning of ‘quite/somewhat/rather [original adjective]’. Examples are: ‘magertjes’ (somewhat meagre), ‘povertjes’ (quite poor), ‘stilletjes’ (rather quiet). When you say it has been ‘welletjes’, you are saying that it has been quite enough (or satisfying). You can use it in different ways, see the Examples. – Wel: well, good [adjective]. – Welletjes: quite enough [adjective]. – Genoeg: enough, sufficient [adverb]. This entry was posted in Dutch word of the day, DWOTD 1.0, Vocabulary Intermediate and tagged genoeg, goed, het is welletjes, het is welletjes geweest, wel, welletjes by Sander. Bookmark the permalink.